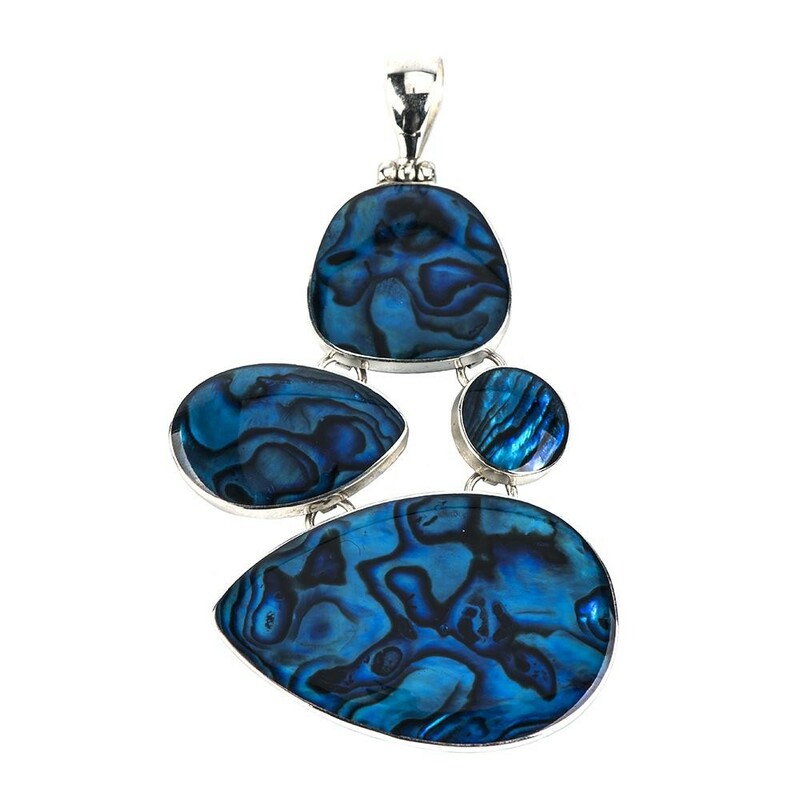 Silver pendant: Blue Paua Irregular Multi-Piece Silver Pendant is a lovely pile of stacked pearl jewelry framed in silver. This sterling silver pendant is an association meant for thoughtful times. Grace yourself with this marvelous piece of silver jewelry and its serenity will compel you ... Read more. Silver pendant: Blue Paua Irregular Multi-Piece Silver Pendant is a lovely pile of stacked pearl jewelry framed in silver. This sterling silver pendant is an association meant for thoughtful times. Grace yourself with this marvelous piece of silver jewelry and its serenity will compel you to fall in love with it again and again. Soothing blue lets you explore the calm side of your persona.